Homemade cranberry sauce is so easy to make and so tasty, I’m surprised people still buy that jiggly stuff from the can. 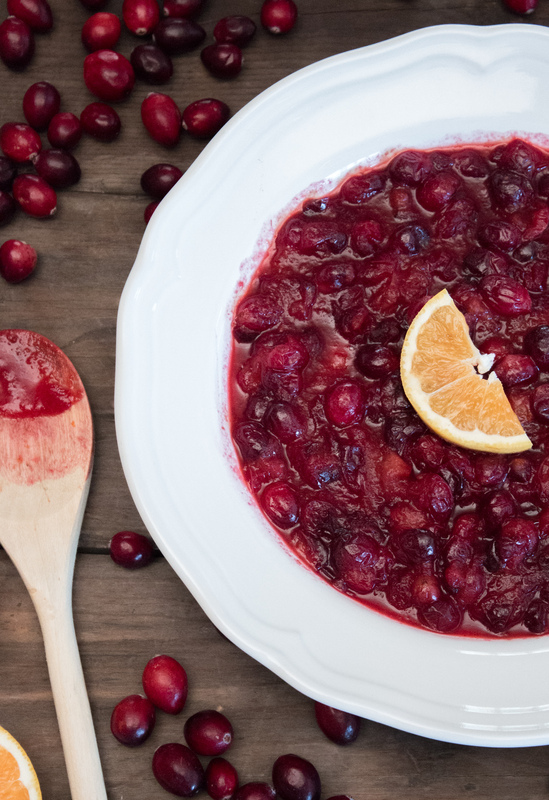 If you’re looking for a simple recipe, this Homemade Cranberry Sauce with Ginger and Orange Zest is it! 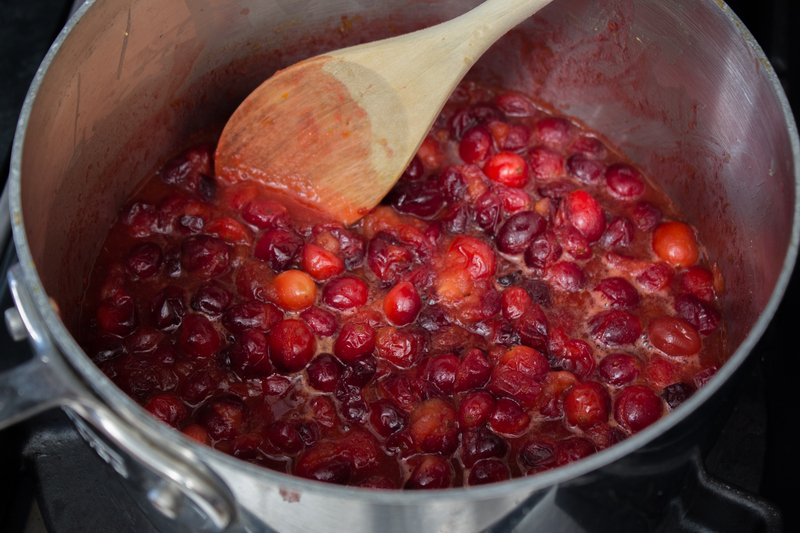 Wash and dry the cranberries and add them to a small saucepan, removing any over ripe berries. NOTE: FACT: They're straight up American. 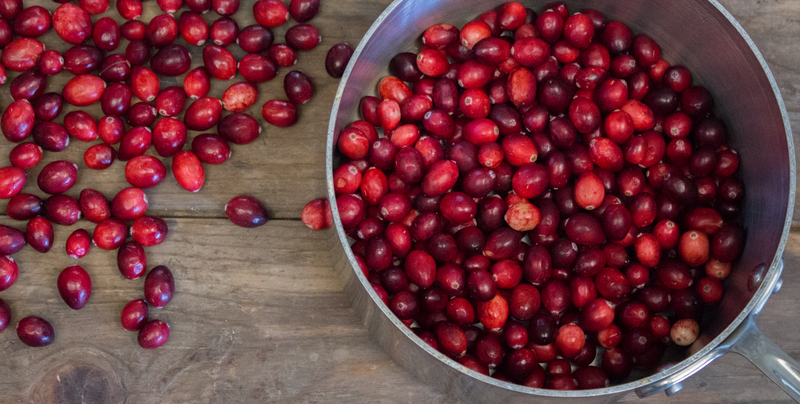 Yup, the cranberry is one of only a handful of major fruits actually native to North America. Others include the blueberry and Concord grape. 'Merica, f*ck yeah! 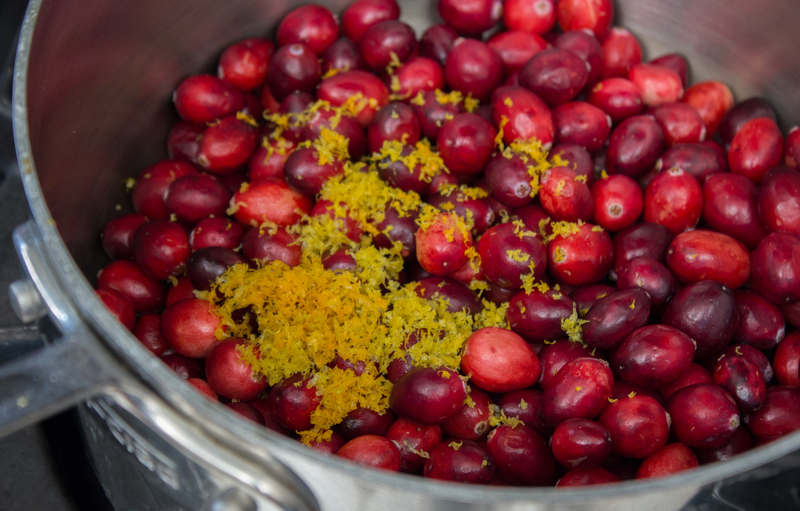 Wash and dry the oranges and then zest them, adding the zest to the cranberries. Juice the oranges and it to the cranberries. Now, be sure to use oranges with a lot of juice. How you do that is by selecting an orange that feels heavy and weighted for its size. Once you find the heavier ones in the bunch, give them a gentle squeeze. 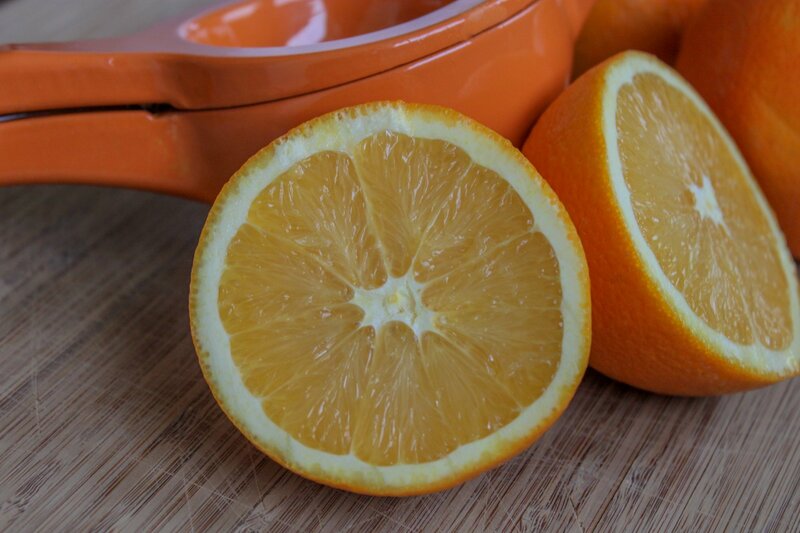 The perfect orange will not have much give to it. Add the ground ginger. 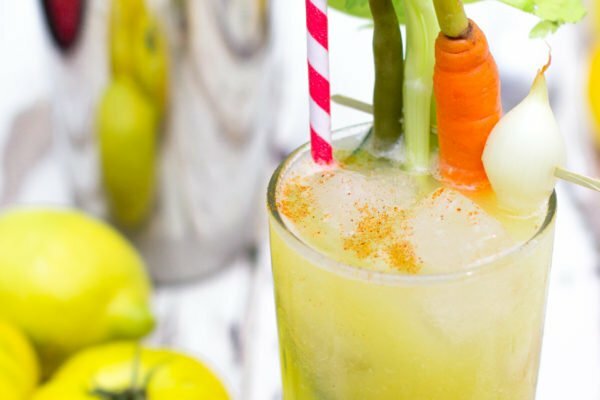 If you like things spicy, then add a whole tablespoon. That is how much I use. 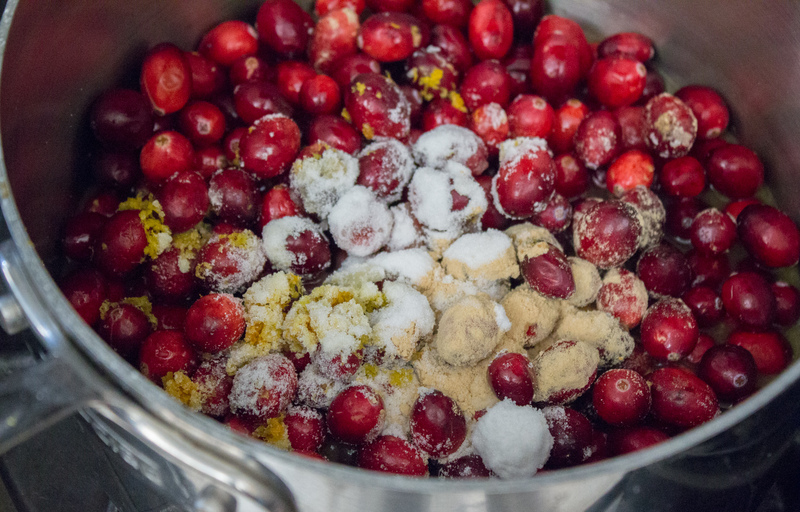 Bring the mixture of cranberries, orange juice and zest, and ginger to a light boil over a medium heat. Once you hear the first cranberry pop, turn the heat down to low. Cook according to desired consistency. If you want the cranberries to remain whole, cook for just a few more minutes. Cook for about ten minutes if you want a more chutney-style cranberry sauce. 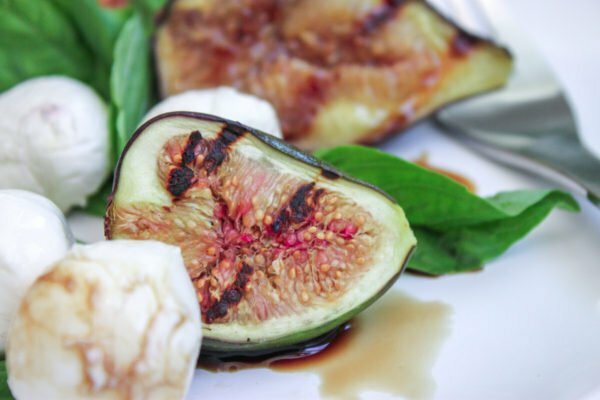 I recently updated this recipe's photos. Here is the original shot.